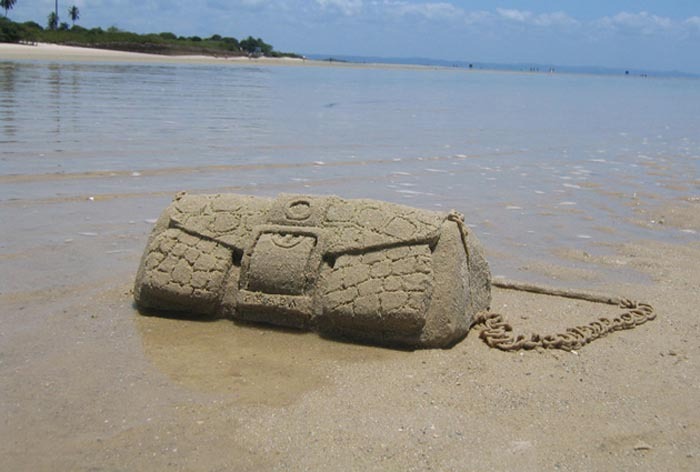 Sure, you’ve seen plenty of sand castles, but what about sand handbags? 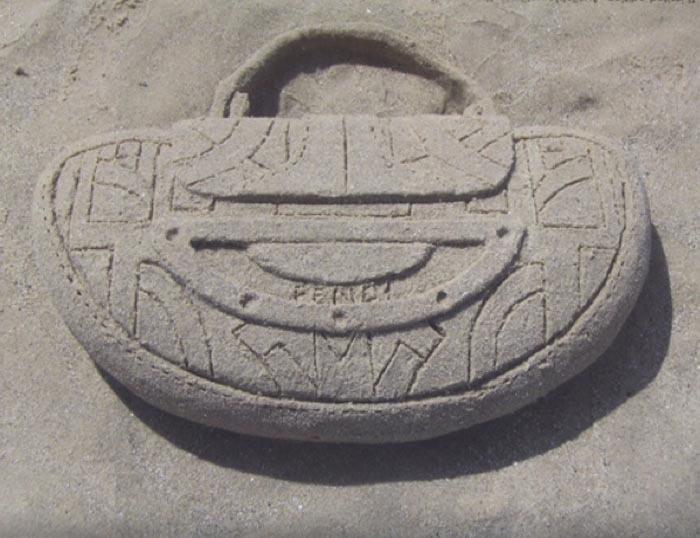 Shelley Miller (previously here) created a series of sand sculptures of designer bags, purses, and clutches during a residency in Brazil a few years back. Much in the way that her Icing Graffiti works disappear in less time than it took to make them, so too these accurate pocketbook replicas that wash away with the tide. The mirage-like nature of these objects, physical in form, yet never fully tangible, is a reference to the desirable objects one sees flipping through a fashion magazine while laying on the beach. The photo documentation of these temporal sculptures were then used to produce the “Summer Collection” booklet, a mock fashion catalogue that returns these objects to their fashion industry inspiration. If it were up to me, next year Miller would be one of the artists invited to participate in the Creative Time Sand Sculpture Competition in Rockaway. This entry was posted in Art, Fashion, Fun, Pop Culture, Street Art, Stuff We Like. Bookmark the permalink. What an amazing Art. Really I like it!